The phrase, “Honey, I heart you, but we are in a recession” doesn’t exactly scream romance, but unfortunately, it is our reality at the moment. As a retailer it is exceptionally frustrating for the obvious reasons, but as a significant other, it makes total sense. So, as the old saying goes, “we must change with the times”. Many of us retailers are taking the term “Recessionista” to heart by offering budget conscious items for this Valentines Day. Here are some thoughtful, yet affordable “His & Hers” Valentines Day gifts (almost) under $100 that tell your sweetie, “I love you, but I’m on a budget”! This valentines day, give your mate a creative gift while staying within a healthy budget and being thoughtful all at the same time. For Him: Give your man a sensuous foot massage and then help him into a pair of supple cashmere socks. Foot Massage: Free. 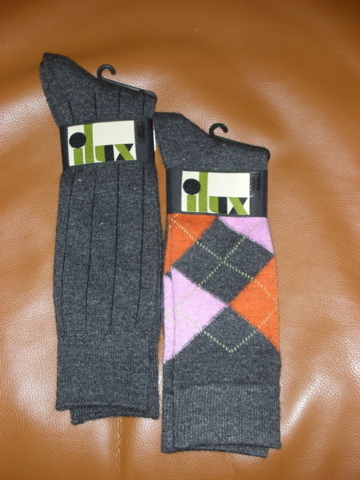 Ilux Cashmere socks available in solid ribbed charcoal and printed argyle: $22.00. For Her: Hold your gals hand and recite sweet nothings such as “our love is the greatest gift we can give one another” and sweetly slip a love bead bracelet onto her wrist, the element of surprise will win you major points! Sweet and romantic hand holding: Free. Thoughtful Love Quote: Free. Hila elastic love bead bracelet available in rosewood and carved bone: $25. 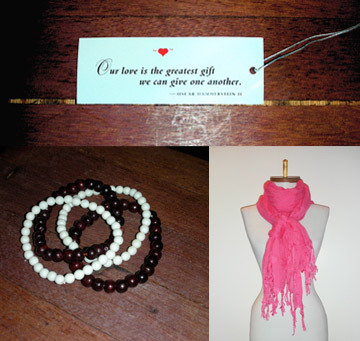 Love Quote scarf (which includes the love talk you quoted earlier on an attached card) :$72. 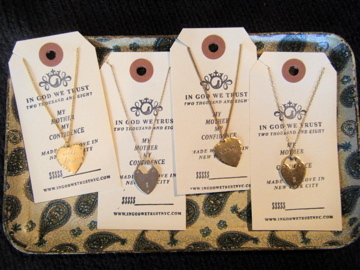 For her: Gift her quirky and whimsical Valentines jewelry from the style minded jewelry line, In God We Trust. The collection mixes chains and charms to nostalgic, romantic effect. Pieces include brass hearts with sweet nothings etched on such as: ‘xoxo’ and ‘with love’, also featured are sterling silver and 22k gold heart lockets. Prices range from $30 to $120. 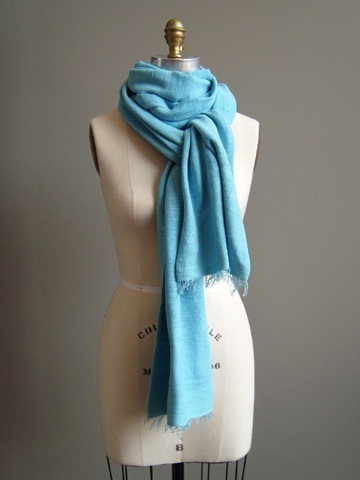 For Her: Wrap her up in a $38 Luxe Wrap made of a luxuriously soft, 100% cotton, hand woven texture in a worry-free, one-size-fits-all design. Available in 7 colors and unbelievably affordable. It will look like you splurged! 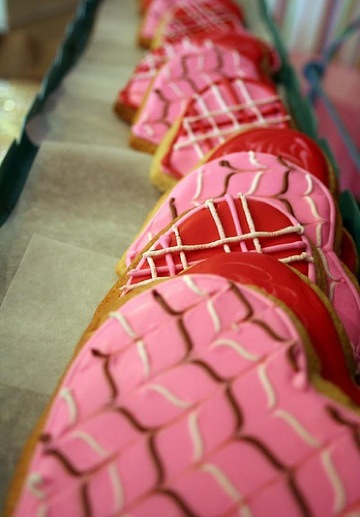 Say it with Sweets: Bakery Gingham is sure to please both him and her. They are featuring specialty cupcake flavors and cut-out sugar cookies priced at $2.50 each. They may be in a new location, but these tasty treats never get old. Bakery gingham now located at 189 Thurman Avenue. The point of gift giving is to purchase an item for someone that they may not buy for themselves, a luxury item if you will, that gives them a little boost in their self confidence because they know someone has really put some thought into their gift. Maren Roth owns Rowe Boutique, located at 718 N. High Street in the Short North. More details can be found online at RoweBoutique.com.